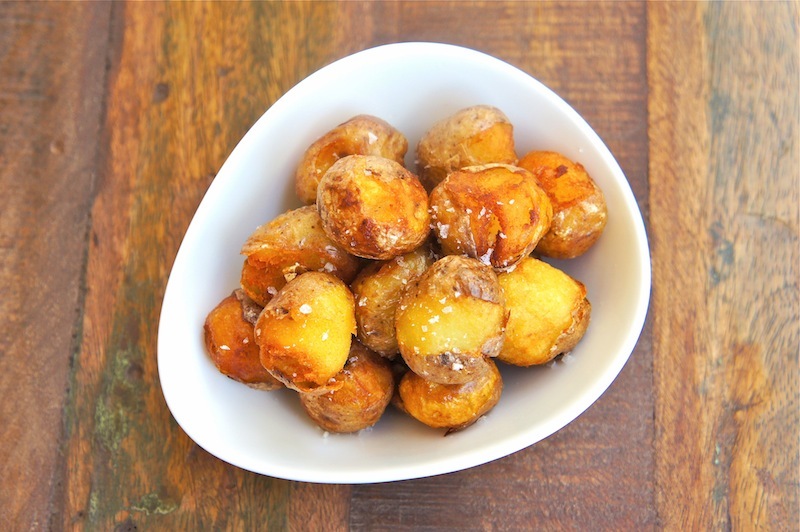 These Fried Small Potatoes are the perfect snack! Find the smallest potatoes available and try making it. I always like fresh home made fried potatoes as opposed to the ones you find in the frozen section of your local grocers. 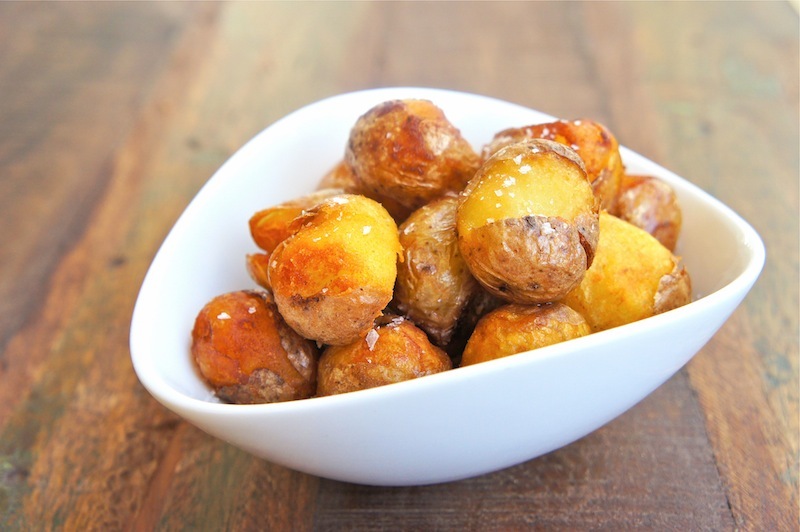 These fried potatoes are crunchy on the outside; but, yet they remain tasty and tender on the inside. Just simply sprinkle some sea salt flakes before serving. Enjoy! Boil the potatoes in a large pot of salted water until just tender, about 15 to 20 minutes. Drain the potatoes in a colander. When the potato is still warm, press it lightly with your fingers, and peel away some of the skin. Deep-fry the potatoes over high heat for about 2 to 3 minutes or until they are golden brown in color. Remove the potatoes and on a paper towel and sprinkle some sea salt before serving. I love potatoes. I love snack. I love this!!! Thanks for sharing. I could eat potatoes with every meal, especially some simply seasoned like this - they always fill my tummy in just the right way! YUMMY YUM YUM!! I bet you could really use your imagination with these! Different spices and such! What great little bite size treats! Awesome!!!!!! I love this simple, QUICK, Yummy, Recipe!!!!! This just made our Hanukkah Dinner. With garlic salt is Prima (the best)!!!!! !